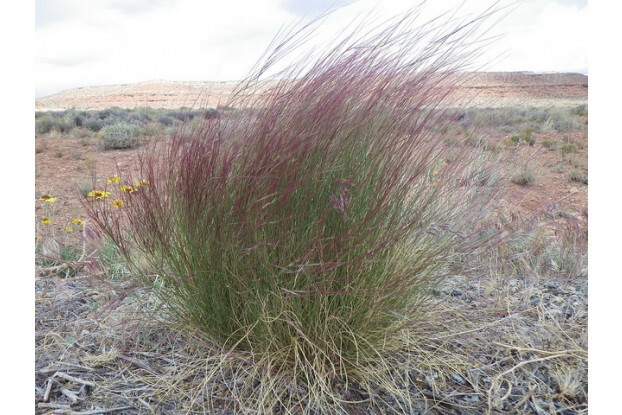 This warm-season perennial bunchgrass is native to the Great Plains and grows up to 30 inches tall. Purple three-awn is named for its purple seed heads tipped with three-awned spikelets, which also give this grass its ornamental qualities. It makes an interesting addition to any water-wise landscape and prefers dry, sandy soils in full sun. Deer tend to leave this grass alone. Purple three-awn can be grown without irrigation in areas that receive at least 8 inches of annual precipitation.